Presenting an exceptional opportunity to provide a great lifestyle for your family. Sitting proud in Henderson, this exclusive home offers brilliantly designed living spaces that are both practical and perfect for entertaining. Deceptively spacious, this low maintenance 4 bedroom brick and weatherboard two storey home has a generous size floor area with a thoughtful layout – upstairs the three double bedrooms with main bathroom and study nook. Downstairs, the spacious open plan living, modern kitchen and dining area is the hub of the home, creating a seamless indoor/outdoor flow to paved area, being the perfect spot to relax or entertain. One bedroom and a full bathroom complete this level, just perfect for your guests or extended family. 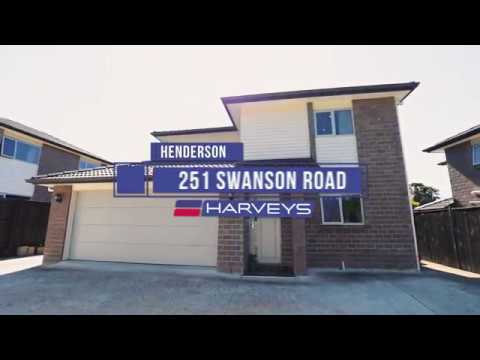 Conveniently located and just minutes away from Henderson Shopping & Commercial Centre, and handy to all local amenities, public transports and easy access to SH 16. Our vendors are ready for a lifestyle change and this lovely home awaits your inspection, but you need to be quick – this is sure to be a popular choice!